This page is designed with you the general public in mind. I hope that you will enjoy the site, and feel free to send me a contact message with any suggestions or requests. To get in contact with me simply click on the contact tab to the left of the page. Currently this site supports Windows XP, Windows 2000, and Windows 98se. Unfortunately I cannot help you with Windows ME, as its a very poor OS! Windows XP is the latest desktop OS that microsoft has thus produced, and I might dare to say this is one of the best. However, don't be fooled into thinking that this operating system is perfect. It has its flaws and that's where this site will attempt to correct and assist! Microsoft continually works to improve its software. As part of this effort, we develop updates and fixes to recognized issues and release them for customers. On a regular basis, we combine many of these fixes into a single package and make the package available for you to install on your computers. These packages are called Service Packs. Windows XP Service Pack 1 (SP1) provides the latest security and reliability updates to the Windows XP family of operating systems, and includes Internet Explorer 6 SP1. 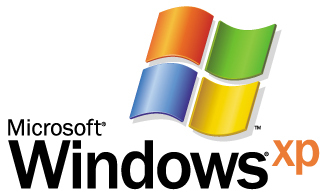 Windows XP SP1 is designed to ensure Windows XP platform compatibility with newly released software and hardware, and includes updates that resolve issues discovered by customers or by Microsoft's internal testing team. It is just around the corner. As soon as it is released to manufacture, expect a link and information to be posted on this site. Service Pack 2 should offer better security and more features. The file size is yet to be determined but you can expect it to be more than 100MB in file size. Copyright © 2001-2002 Big Booger All Rights Reserved. Big Booger rules of conduct.